Medical Service Charge | Medical Revenue Associates, Inc. The Medicare Physician Fee Schedule (MPFS) applies to healthcare provider services such as office visits, lab work, types of therapy, surgical procedures and more. It gives providers guidelines on what Medicare will cover for services and how much it will reimburse the provider. The Centers for Medicare and Medicaid Services (CMS) decide the final rate for each procedure code, and then it is multiplied by a dollar amount to determine the national average fee. Finally, rates are adjusted according to where a provider is located. You can find the rates for your local area by going to the CMS Physician Fee Schedule Look-Up site. Urban areas and cities have payment rates that are five to 10 percent above the national average, with rural areas offering lower rates. The MPFS includes both facility and non-facility rates. Services provided in a doctor’s own office results in a higher Medicare fee because the doctor is paying for overhead and equipment costs. When’s the last time you compared your service charge? Have you compared your service charges to the current allowed payments from Medicare or other carriers? 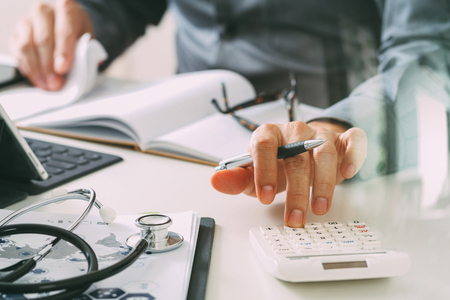 A large volume of practices do not review the current Medicare Physician Fee Schedule, which the majority of health insurance carriers use as a guideline for what they will pay for a service. If the physician’s charge is below the amount the carrier would have paid, they would lose income. As an example, if the physician charged a carrier 80.00 for a service, but the carrier’s contract is 95.00, the carrier will only pay what has been submitted (80.00), but the physician has lost 15.00. If the physician charged 120.00 for the service, the carrier will pay at their contracted amount of 95.00. The balance cannot be passed on to the patient. Let the professionals at Medical Revenue Associates, Inc. help you manage your accounts receivable. We have years of experience and the expertise necessary to provide you with a personalized medical billing service. Give us a call at 215-497-1001 to learn more.